There is a kind of Mona Lisa-ish enigmatic smile about this girl featured in a nineteenth century studio portrait by the Dover based photographer, Frederick Artis. 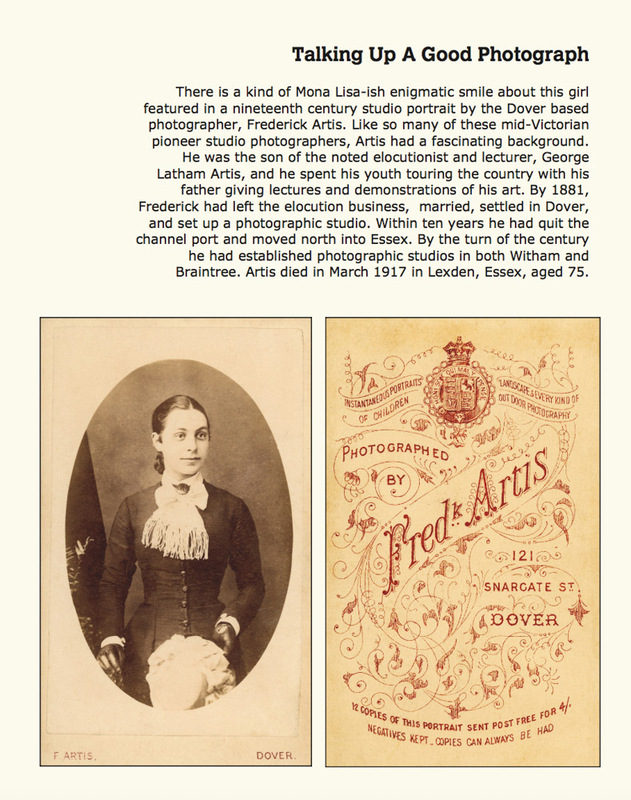 Like so many of these mid-Victorian pioneer studio photographers, Artis had a fascinating background. He was the son of the noted elocutionist and lecturer, George Latham Artis, and he spent his youth touring the country with his father giving lectures and demonstrations of his art. 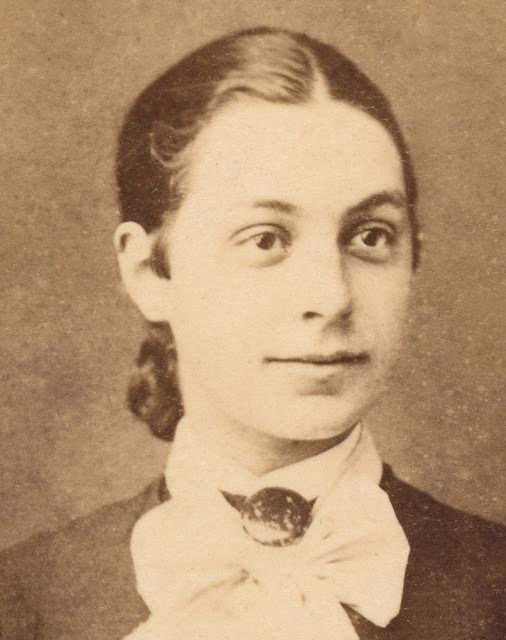 By 1881, Frederick had left the elocution business, married, settled in Dover, and set up a photographic studio. Within ten years he had quit the channel port and moved north into Essex. By the turn of the century he had established photographic studios in both Witham and Braintree. Artis died in March 1917 in Lexden, Essex, aged 75.